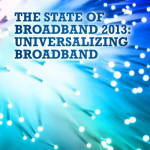 Affordable broadband connectivity, services and applications are essential to modern society, offering widely recognized social and economic benefits. The Broadband Commission for Digital Development promotes the adoption of broadband-friendly practices and policies for all, so everyone can take advantage of the benefits offered by broadband. 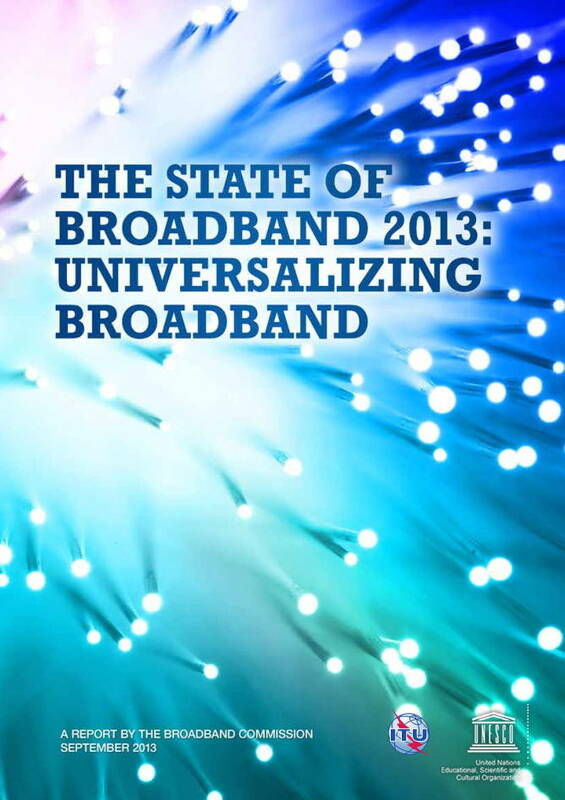 With this Report, the Broadband Commission expands awareness and understanding of the importance of broadband networks, services, and applications for generating economic growth, and for achieving social progress. In its work, the Commission has not defined ‘broadband’ in terms of specific minimum transmission speeds, in recognition of the range of market definitions in different countries. Rather, the Commission views broadband as a cluster of concepts: always-on, high-capacity connectivity enabling combined provision of multiple services simultaneously. Posted in Asia Pacific, Business Intelligence, Communications, Digital Economy, Federal, Information, National Broadband Network and tagged affordable broadband, applications, Broadband Commission for Digital Development, broadband connectivity, broadband networks, broadband-friendly, Economic Benefits, economic growth, high-capacity connectivity, ITU, modern society, Services, social benefits, social progress, transmission speeds.